And The Decision Makers @ the back of the pack decided it’s time to open up this secret society to a few more ball busting dudes and dudettes. BUT before you can join The Crew you must first qualify to join The Crew. And if you feel the need to start a BPR chapter, say in… Colorado or Mexico or Canada or Japan. Then you will be confirmed or denied by The Supreme Council and Mad Rhino. So that is the process. Now how do you, the BPR prospective freak job, qualify for this not so secret yet secret society? The O&Is were authored by The Lt Col… late one night when his multi million dollar plane was busted. You have no option to modify the O&Is. we don’t want to be pulled off our game, by your desire to show Your Game. But we won’t do a spot check, if you know what I mean. Functional clothing like ~ 50% cotton blend… is meant for late nights on the trail or authorized, by Mad Rhino, for hot AZ days. if you are 300 pounder, a beast that is on roids, HGH or Cheetos… well, sometimes dudes are dealt a raw deal. And if you’re a 300 pounder then your clothes are gonna be tight no matter what. So, bring some extra beer and will go easy on you… or not. if you only have 50 miles in you, register as solo and do 3 or 4 laps, you’ll still smoke Prob-eee. THEN will call you Prob-eee JR, publicly Flog you, rip your patches off and… steal your beer… and give you a t-shirt. disregard all the rules and regulations and qualifications noted in the O&Is. Foxy Mamas can pretty much do whatever they want @ the back of the pack, cuz we like it when Foxy Mamas hang with us. and there won’t be no f’n cat fights in the pits. Cuz the few wives at the Back of the Pack know that the married dudes… ain’t got no game. but you may want to roll a single speed, may. but we won’t judge you… if you wear that tight spandex s*^t… that tight spandex s*^t that is banned… at the back of the pack. convince us you’ll live and uphold the BPR O&Is. and if you want to roll’n with killer patches, let us know ASAP! and we’ll dig drinking your beer. And Finally: we ain’t providing ‘FREE’ healthcare, because there ain’t no thing as FREE healthcare. Right? 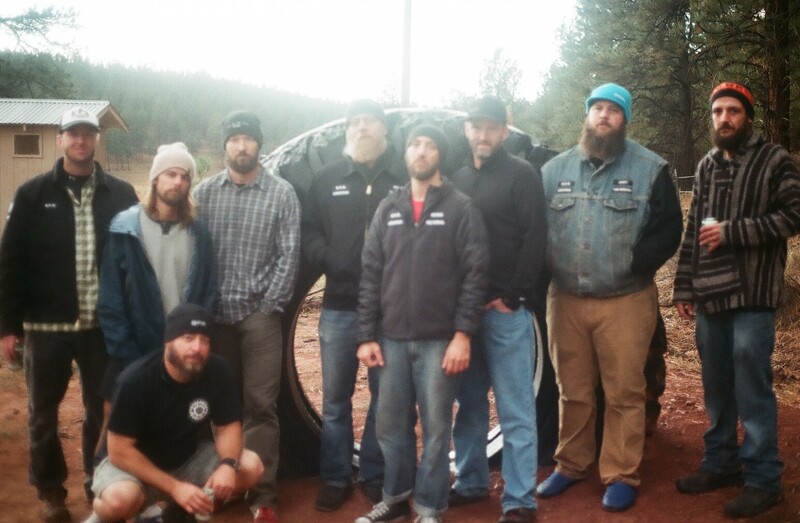 The Roaming USA Chapter is in Full Effect in Silver City. I am organizing a group ride from Antelope Wells to Banff. Single, 29 (six more months), Rigid. All takers we will be meeting at the Mexican border in 2 days. That is all. Yo cjell money ,aka cjell mone, We dudes are so jealous of The Roaming USA Chapter. We'll get a specific patch designating the roaming chapter, by the way. Man, have a great group ride. Wish I was able to join.